Imagine for a moment that you are a believer in India. You were born and raised in an impoverished Hindu village and are now greatly persecuted because of your faith in Jesus. The only water source for your entire village is a single well at a Hindu temple that is controlled by the militant group that is persecuting you. And, because of your Christian faith, you are considered lower than the lowest Hindu caste, which means you are not permitted to draw water from the well. As a result, you must travel several miles to the next town in order to find water. Located in Haryana State, Northern India lies the village of Panipat. The predominant religion of this region is Hinduism. Christians number fewer than 1% of the total population and they suffer great persecution and poverty. But despite this challenge and the persecution they face, our courageous brothers and sisters in Christ choose to boldly share the gospel. Praise God we could make a bore well in this village and give [water] to the entire village! It is going to be a great platform for the missionary and the new Christian believers in this village to share their story and witness Jesus to these villagers. Earlier the Hindu temple priest used to publicly shout to them for becoming Christians. Now they are so happy that he, that priest, is going to come and take water from this well as there is no other option! Thank you. 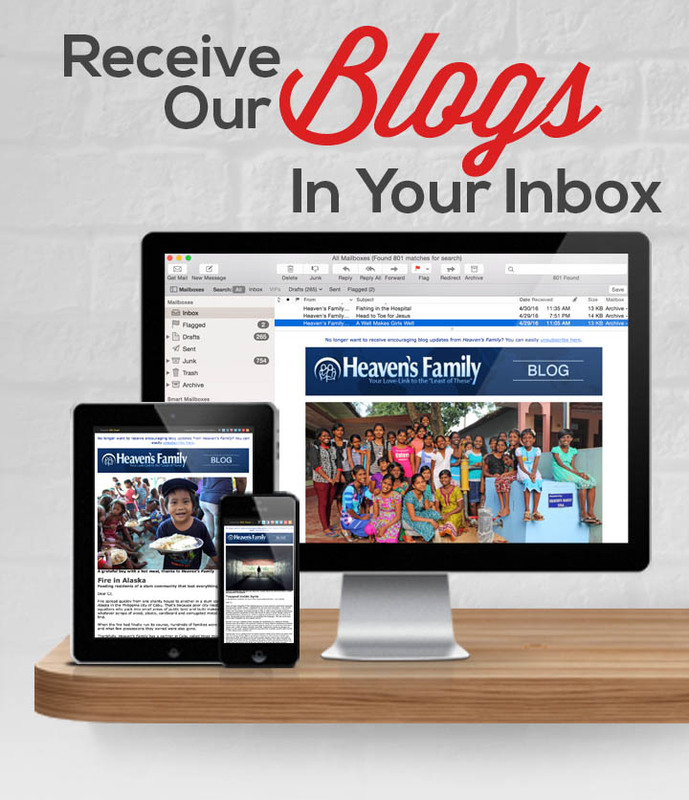 Like the Christians of Panipat, who now use their “good well” to produce “good will” for the sake of the gospel, Heaven’s Family has many other well projects in Northern India (and around the world) that continue to pour forth amazing results. Generous support of the Safe Water Ministry is providing sorely needed relief to villages that lack clean drinking water, and each well creates opportunities to share the gospel with unbelieving neighbors who once hated Christ. The director of the Safe Water Ministry had the opportunity to give a short presentation at Heaven’s Family’s 2017 Annual Staff Conference in February, in which she explained some of the exciting ways we’re advancing Jesus’ kingdom around the globe in 2017. Please watch!